The May issue of The People We Are is online! It is all about the green economy and being eco-logical. It is a colorful package with lots of resources, articles and materials. Read it now! 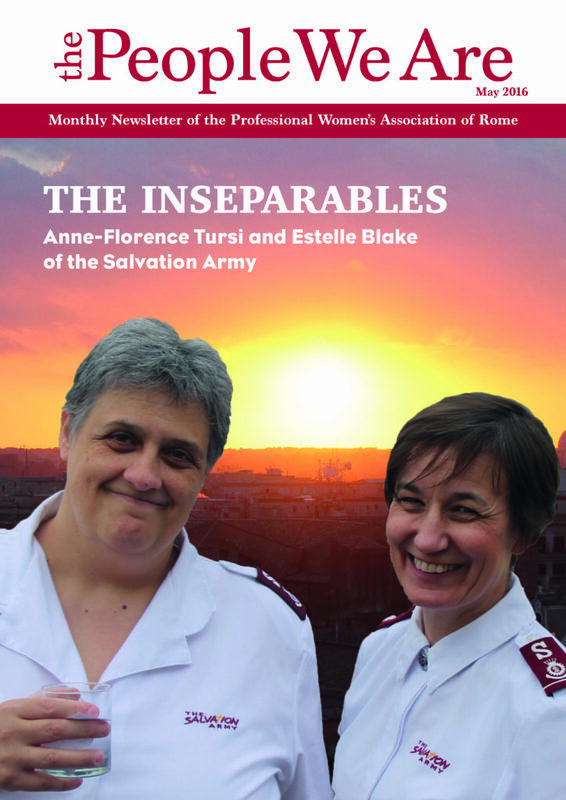 The member feature is on Lieutenant-colonel Anne-Florence Tursi and Major Estelle Blake, both Salvation Army officers based in Italy. Their biggest satisfaction is to be able to help people and give them faith and hope when they’ve lost them. Be inspired by them! President Valerie Baxter writes about the Woman of the Year and what it takes to be elected as one. You will find fun photos from the past events – the May Connexion at Hotel Independent with the fabulous live concert of musician Frank Polucci known from the Voice of Italy. 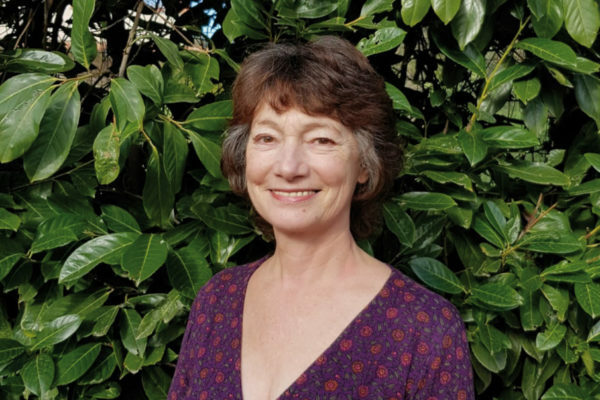 There is also Lisa Tucci’s wrap-up of the April Conference on Matronage – Women in Art in Early Modern Roma by Prof. Carolyn Smyth. Laura Rizzi examines fruit in art – the still lifes of several artists and Archimboldo’s influence on the Milan World EXPO symbol Foody. 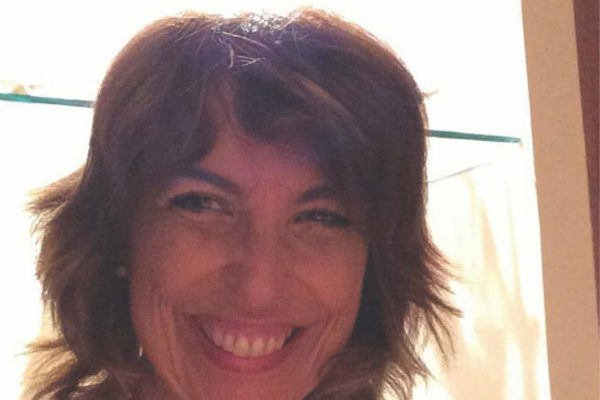 The series of poems by Elvira la Rocca and paintings by Rossana Chiani is continued with a new theme. So wait no more, start browsing! Now is your chance to contribute to The People We Are. Send us your photos, articles, news, milestones & more for the June issue by June 8th. Send your stories to newslettereditor@pwarome.org ― it’s your mouthpiece, make the most of it! December 2017 issue of The People We Are is here! 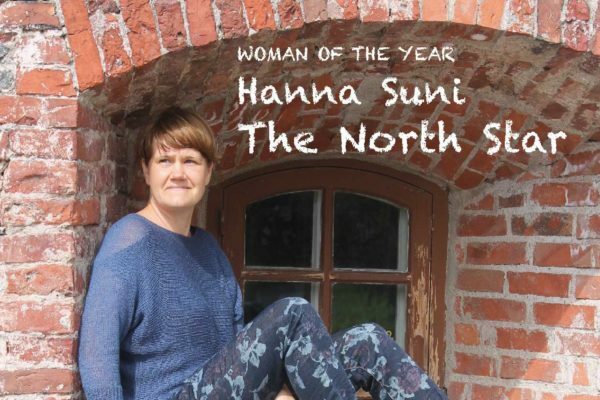 November issue of The People We Are is here!